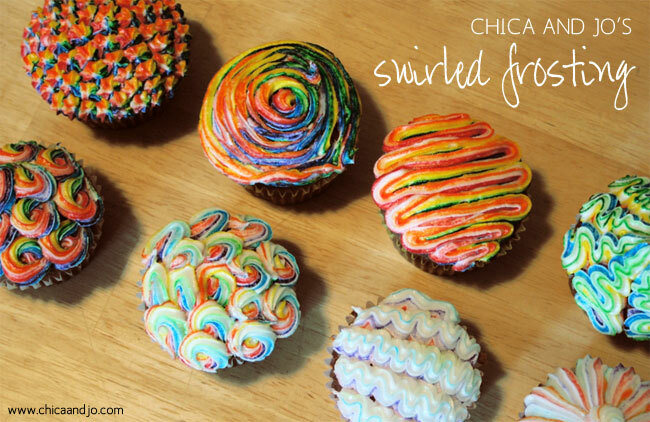 Here’s a fun way to trick out your cupcakes in colors to match your party theme: swirled frosting! The crafty duo Chica and Jo developed an easy technique to make multicolored icing – it’s perfect for a rainbow party, or you could use fewer colors to suit a simpler color palette. Pretty snazzy, and it still leaves room for cupcake toppers and other fun decorations, too! 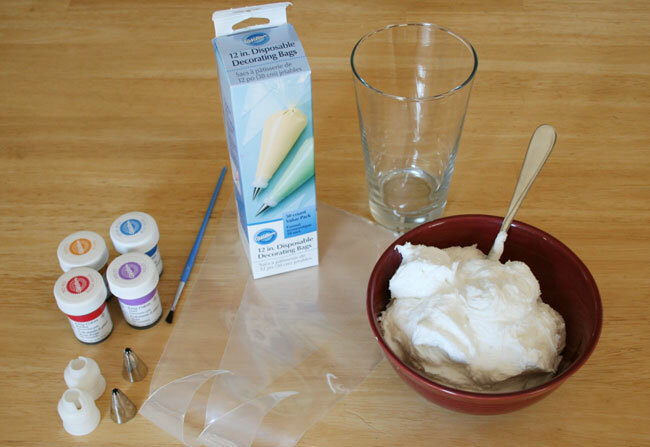 Here’s all you need: white decorator’s icing (here’s Chica and Jo’s decorator’s icing recipe), a disposable icing bag, a decorating tip and coupler, a drinking glass, a small paint brush, and paste food coloring. The technique is super-simple but I promised Chica and Jo I wouldn’t give away all their secrets. ; ) Click on over to Chica and Jo for the full tutorial on how to make rainbow swirl frosting! Re-posted with permission from Chica and Jo. Thanks ladies! I've seen this tip before, but have never seen it used so perfectly. Great photos...I can't wait to see the full info! Love this idea! I recently did a rainbow cake for my daughter's Art Party. This would have been perfect. I will have to try it out soon. 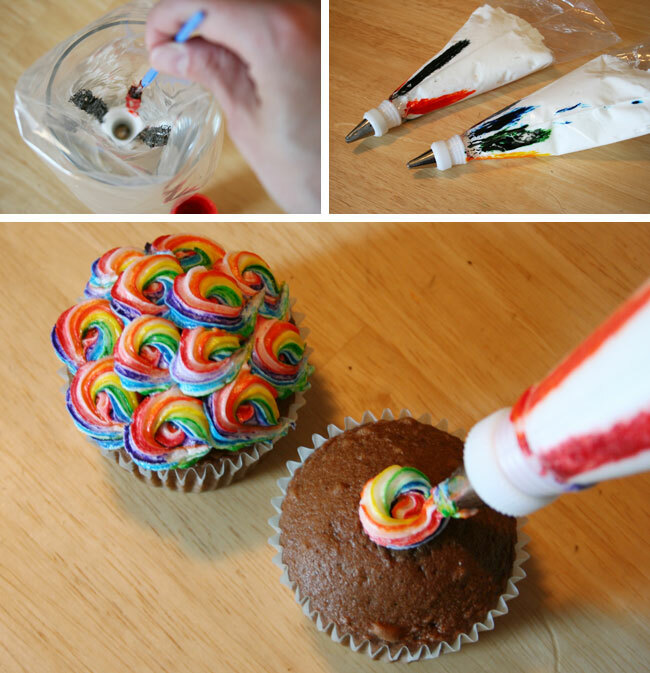 I love this idea its so cool but i don't know where to get paste food colouring in New Zealand do u no? I'm sorry Hannah, I have NO idea! Ordering online would probably be your best bet. Hannah You can get gel colouring at Spotlight. Also, can you use this tip to make a two tone rose flower with a wilton star 2D ?? This is beautiful. Will try this the next time I need cupcakes.